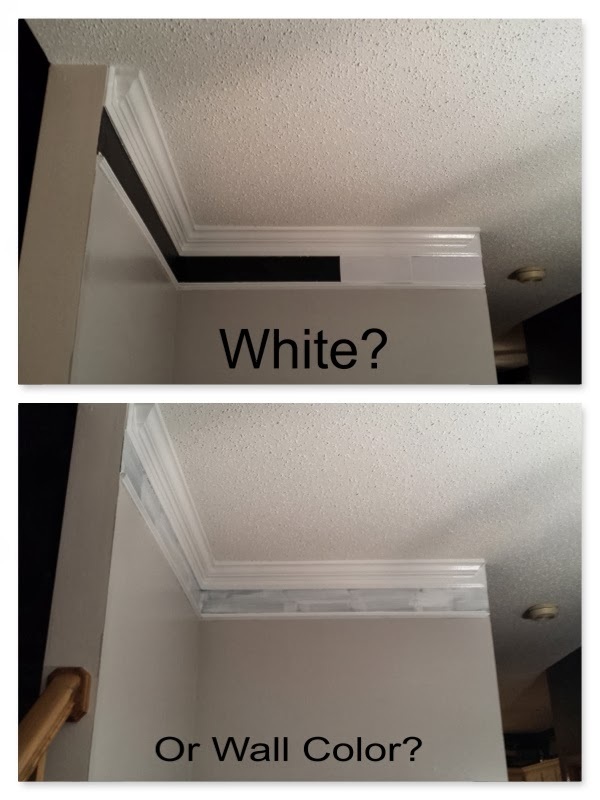 and by any color, I mean either white or the existing wall color. Currently I am working on painting the honey oak trim in our home and the room I am currently on is the dining room. This one is a beast. It has floor trim with quarter round. It has chair rail. 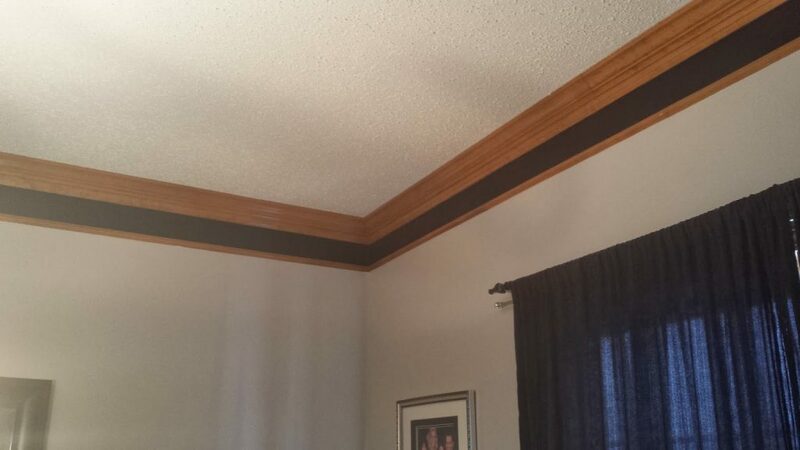 It has crown molding with another trim piece about 6 inches below. Combine that with multiple colors and I now have an issue. The issue comes from the color black between ceiling trim pieces. Previously it looked pretty good because it went with the oak trim and matched the wall paint below the chair rail. Now that I have painted the trim white, the black just doesn’t fit in. I posted a picture of it on our Facebook page asking for recommendations on if painting the wall to white to match the trim would look ok. 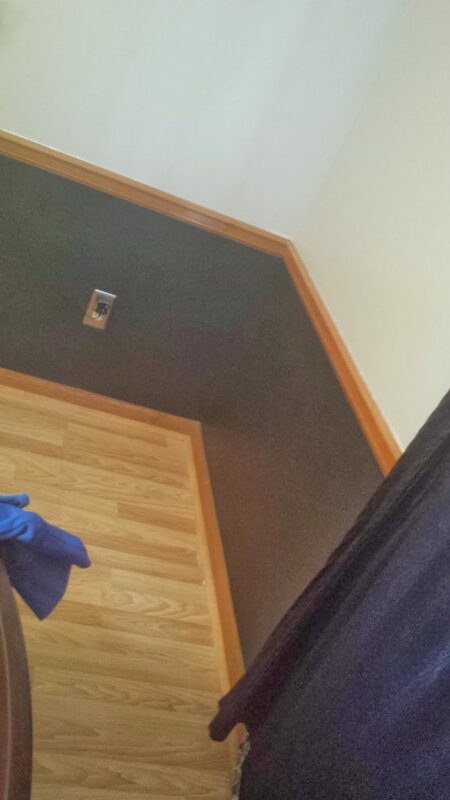 I was surprised when I received some recommendations to actually paint the wall to match the color below the trim. I never thought of that. After thinking about it a bit, I started to lean that way. However, I am still not 100% convinced that is the way to go. So for now I have primed the wall and that’s it. Now comes the part where I need to decide what direction to go with the paint. Thoughts?